Are you constantly looking for your car keys? Or maybe you have a purse that tends to wander off? Or even a tablet or laptop that you’re prone to leaving at a friend or family member’s home? There are now multiple devices on the market that are aimed to help you keep tabs on your belongings, using your existing smart phone’s ability to handle GPS and Bluetooth. In this show-down we take three of the largest players and compare the Tile Item Finder versus Chipolo Item Tracker versus XY Find It. When I set out to test these three devices I wasn’t really sure what to expect. I had heard good things about Tile, but the other two brands (XY, Chipolo) were foreign to me. And even after testing these brands I came to realize there are a bounty of other, even lesser known devices (such as the Halo TrackR amongst others), which I just didn’t have time to test. What you see here then are the three brands I felt were most worthwhile to test, and given the most well known came out squarely on top of this test, there is no reason to explore more. Here is how they did. This is the largest of the devices, measuring in at 32mm x 3mm x 8.25mm thick. It is the thickness that was most notable compared to the others. It does have a soft-touch coating where as the others are just a standard smooth plastic. Still the many corners/angles makes sliding this guy in/out of pockets the least comfortable of all devices. It feels sturdy and solid, on-par with the Tile for build quality. However, once you get past the hardware, it all goes down hill. The XY Find It has the only app of these three which is lacking Apple Watch support, though frankly that would not be a deal breaker for me. That is, if the app was actually decent. It is not. The interface is neither intuitive, nor enjoyable to use. 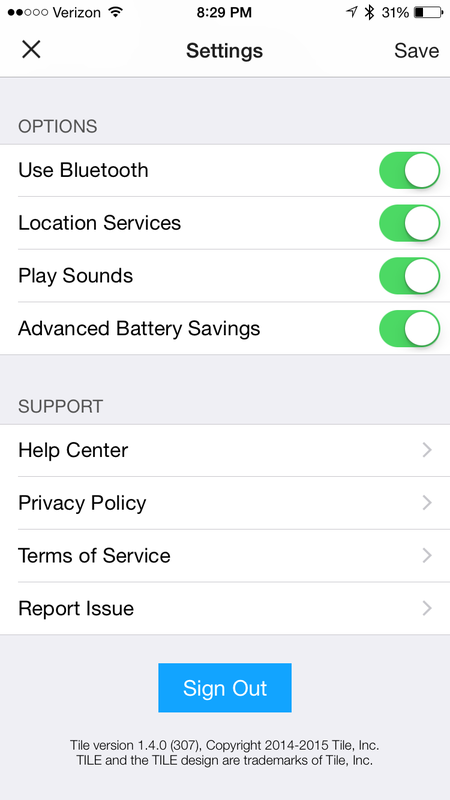 It wasn’t well explained that there are two columns, one for “muted” devices (no notifications on for that item). Having the always-present + symbol square that took up much of the screen were a huge distraction. 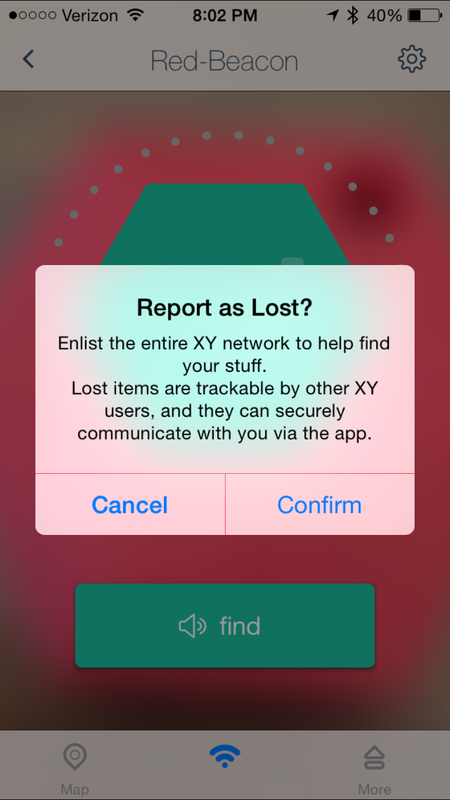 Maintaining a good connection with the XY Find It seemed okay with my iPhone 6, but often times I would open the app only to have it take a solid 30-seconds before it would connect with my beacon (even with the device being just a yard away). All three of these devices allow you to designate a lost item, allowing other users to potentially help locate your device. Still, there wasn’t a lot of feature options other than muting the device, the app was flaky and slow to work. The ONLY feature that the XY possessed that I found useful was that it would show you prior (saved) pings for that beacon. This could be helpful to see where you item has been, just in case you’re still having issues finding a lost item. As much as I dig the design of the XY Find It, and the half dozen colors offered, it quickly jumped to last place due to limited feature set, poor software, and a “cool look” that ultimately was too thick and clunky in actual practice. It also had the weakest audible alert of the bunch, so finding your keys in a noisy room could be difficult or near impossible here. Physically speaking I liked this device the most, at 35mm diameter x 5mm thick. It was not only the thinnest, but the circle shape felt the most natural and least invasive of the whole lot. It also came with the most color options of these three; a dozen to be exact. All of these devices are best when they blend in, so finding one that is smooth, no edges to catch on things, small, light — this one wins that battle, without question. However, the overall design from Chipolo has a HUGE flaw, that I took a photo of above for your reference. First off, the paper piece that blocks the battery in transit was supposed to be easy to remove. Yet mine arrived torn, so I had to open the device case, which revealed the 4 plastic legs that align when putting it back together. These legs are probably there for alignment, but they are weak and bend easily. Two of them bent way too easily and needed removed in order to reassemble the device. This is a very poor internal design, but one most users might never actually experience — unless you actually keep yours long enough to replace the battery. 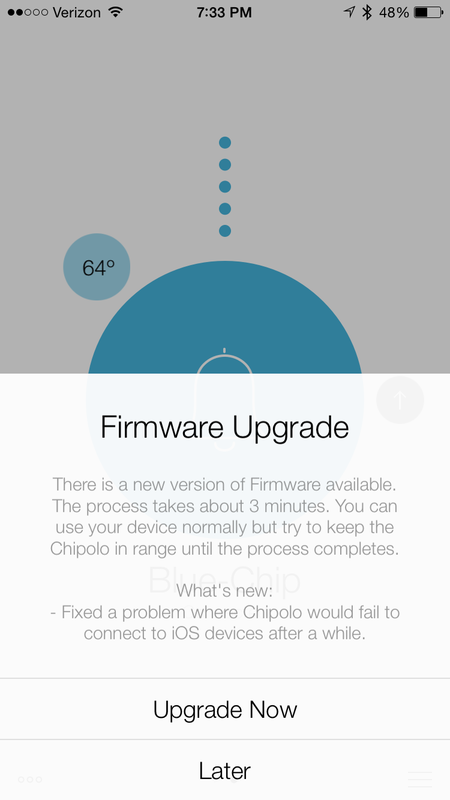 Which is another nice feature– the Chipolo came with a spare battery. Not only was it the only one like this (the Tile doesn’t even have a serviceable battery), it was also the only unit to include a key ring. Not a huge thing (those are cheap enough), but every little extra counts at something this inexpensive, again making the Chipolo rise up for me. Upon setup there was a firmware update, which went speedily and I was on my way. 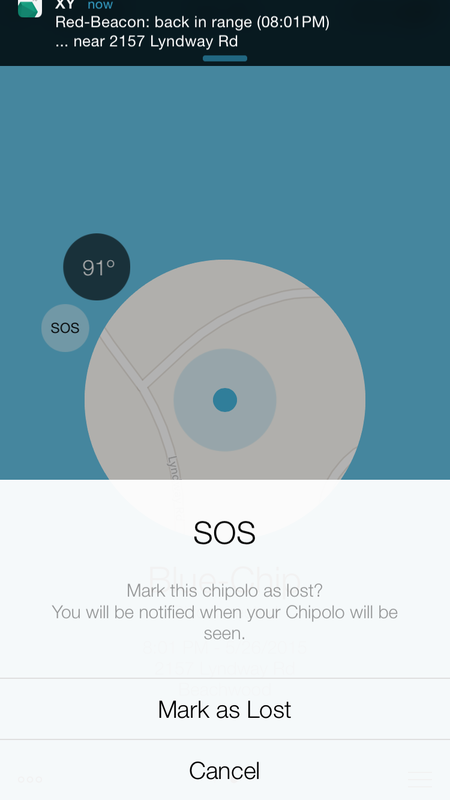 One thing I quickly learned about the Chipolo was that starting the app defaulted to the “add another chip” screen. I’d rather it always went to my first chip. 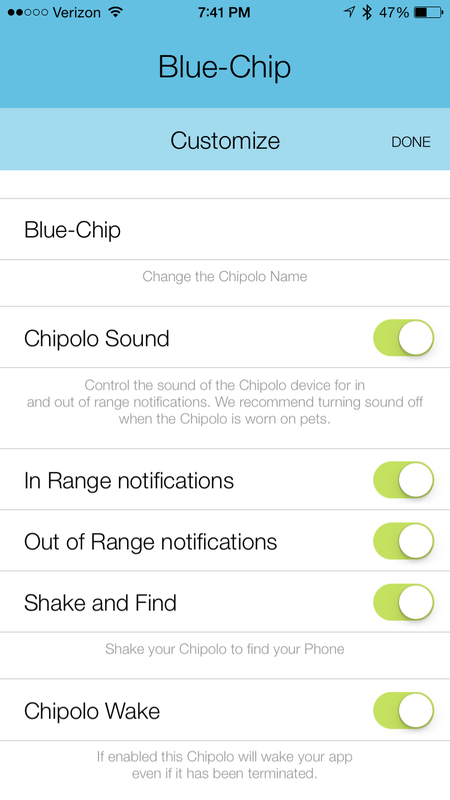 Also, while the app was remarkably better than the XY, the Chipolo app wasn’t without flaws. 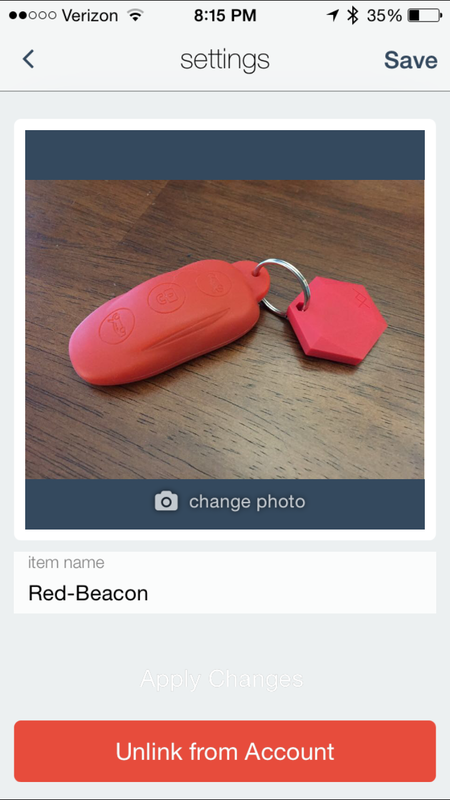 It would connect quickly to a nearby beacon, but often only established that connection once you opened the app. 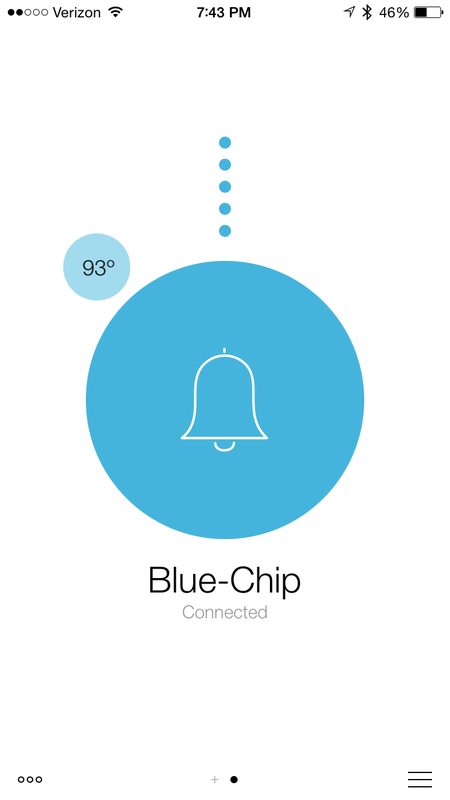 This app has a badge number to show how many beacons are “outside” your current Bluetooth range, but the Chipolo would then reconnect once you opened the app manually. Because of this short coming, my daughter’s back-pack (which I was using for testing the Chipolo) would frequently show not being at home, but I’d open the app and instantly it was there. Strange! 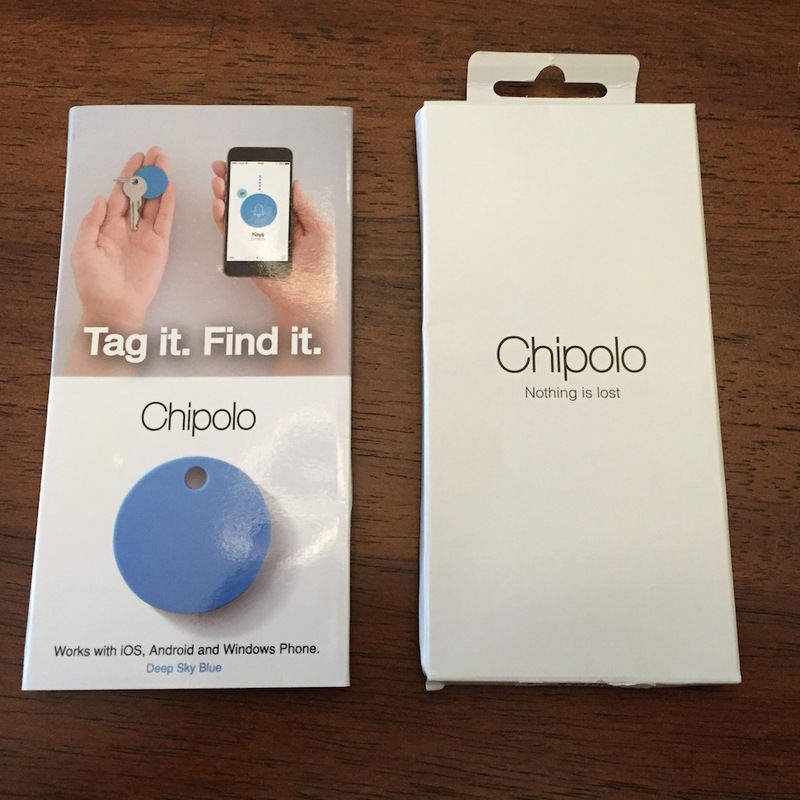 There were two features about the Chipolo that I absolutely loved that neither competitor offered. First was the fact that, if enabled, you could shake the “chip” itself and it would make a sound on your phone. This made the device a “reverse finder” — okay so your car keys are in your pocket but where did I leave my phone? This feature isn’t needed if you have a smart watch that can ping your phone, but not everyone has an Apple Watch or similar. Secondly was the ability to define quiet zones, where your phone would not make noise if you left range of that item. This was particularly useful at home, where you may be on a different floor (or out in the yard), and be out of range of the device — but don’t really need notifications. Or perhaps you don’t need to be notified that you left your keys at home when you’re out for a walk/run. (But you may want to know you left your keys behind at a friends house, or a restaurant for example). 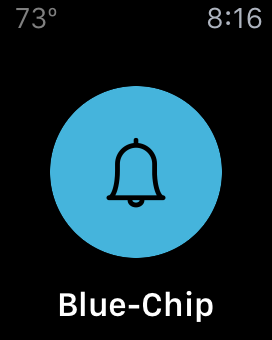 Chipolo does offer an Apple Watch app, though it lacks any Glances at this time. 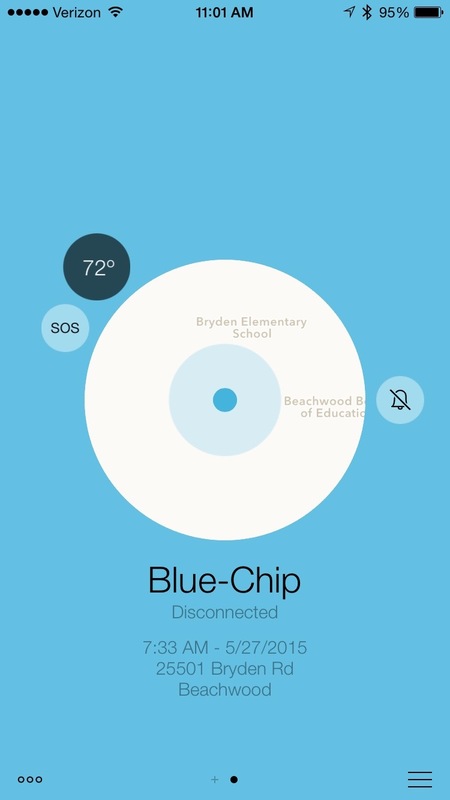 From within the app you do have the ability to sound your beacon, to help find it. 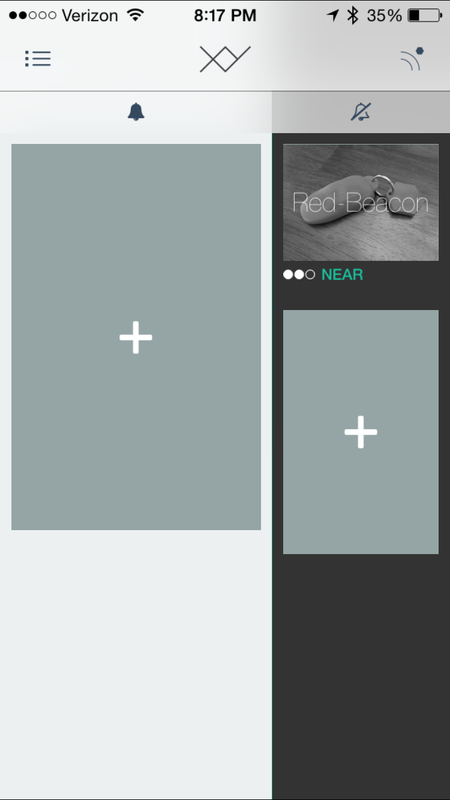 However the app remains a bit more limited than that of the Tile (see below). And while the app is good, it never seemed to be quite as quick or reliable as the Tile app. Chipolo‘s beacons do record the ambient temperature, which is a feature I thought was nice until I found the results a bit erratic. Even though you could recalibrate the temperature, it never seemed quite accurate. And there was no ability to trigger a warning/alert if this temperature was too high/low– which would make this number far more important. You can have any color Tile you want, as long as it is white. Although the size here wasn’t obscene at 37mm square x 5.5mm thick, the more square shape and extra 2mm width definitely is noticed when compared to the Chipolo. This made sliding the device into my pocket (when attached to my keys) a bit less comfortable than the Chipolo, but definitely still better than the XY. There is a simplicity with the Tile, both in packaging/hardware as well as software, that made it feel the most complete. Setup on all of these devices was the same overall experience (a breeze in all cases), but there was a bit more “on screen explanation” with the Tile, professional menus, and intuitive design. Every time I opened the Tile app within range of my key chain the device location was updated and showing within just moments, and the accuracy in finding the item within the room was better (though the XY was a joke in that regard). 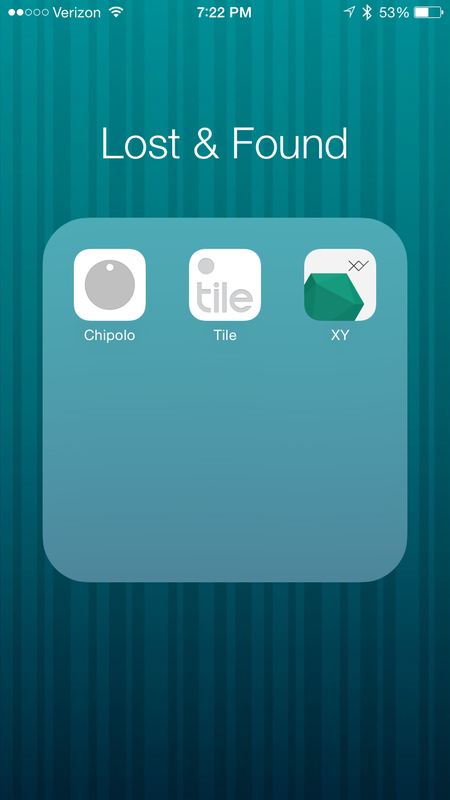 Though the Chipolo app was strong, the Tile just did a better job navigating your way around. Sure it doesn’t have quiet zones or the temperature, but it has a larger network of users. And if you actually lost your item(s) then you’re going to want the largest group of users around. I don’t know how many people use Tile compared to the others, but I suspect they are the biggest of the bunch, making item recovery the most likely with Tile versus any of these other brands. 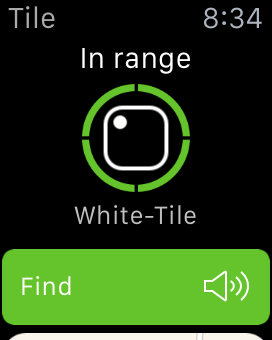 When it came to the Apple Watch, you have glances capability, which quickly shows you which of your Tiles are within range. 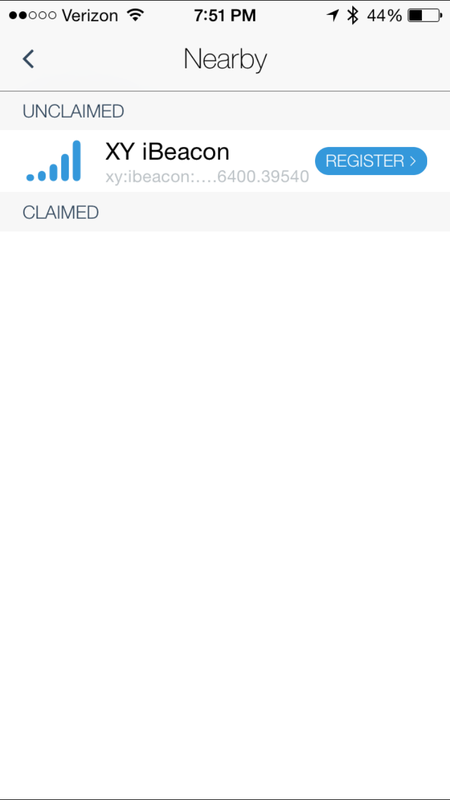 Tap that to enter into the app, where like the Chipolo you could ping out a beacon to find it, via audio. Where the XY was way too quiet, and the Chipolo was louder, the Tile was the best in that it has a scale of music, that seems not just louder than the other two, but a tone more easy to discern in loud environments. Again this could be crucial finding a lost item in certain circumstances. One interesting thing about the Tile is that you’re not meant to replace the internal battery yourself. It is not a serviceable device– you have to swap it out for a new one when the battery depletes. I’m not sure if this is a free service that Tile offers or not, they simply say that after a year they will “help you replace it with the latest version Tile” — hopefully they don’t charge (much) for this service, since it could prove inconvenient. 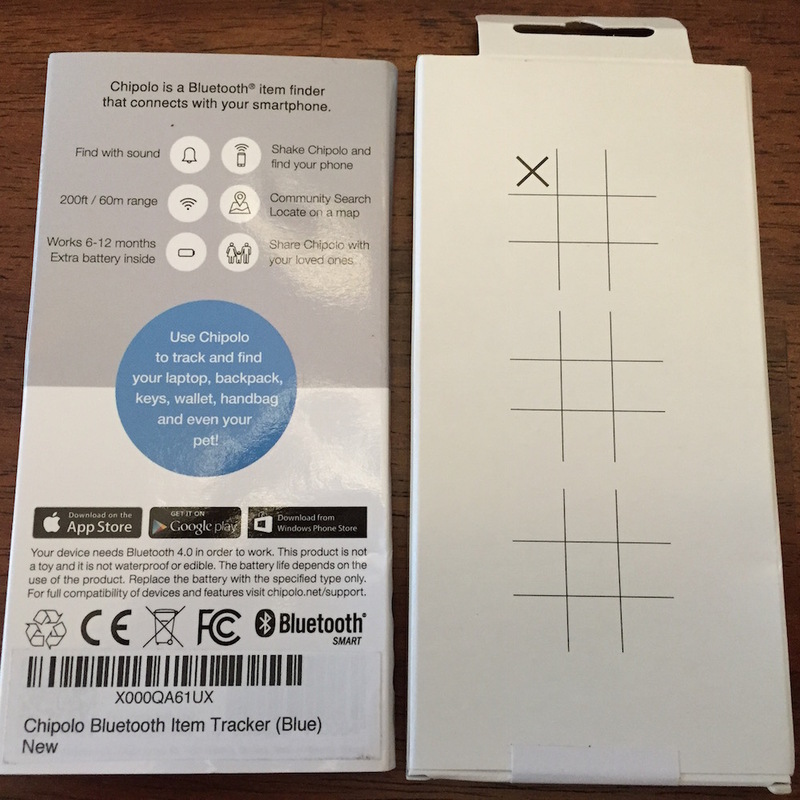 Interestingly, Tile claims their device is good to 100 feet, where as Chipolo only claims 60 feet. XY claims 150 feet, but in my testing that was grossly over-rated. Though they all had similar ranges during my testing (no precise measuring was done), the Tile again remained the most consistent to be connected, the fastest to connect, and otherwise the most reliable. If you want the “leader” in this segment, Tile seems the way to go. It doesn’t have all the gadgets as the Chipolo, sure, but what it lacks in icing it makes up for in reliability. And that, plus larger network size, makes it my favorite for this group. Down the road will we see something at home (your Apple TV, perhaps?) that could connect to these beacons? That could help you realize the item was left at home, and work in conjunction with a cloud service that records device location. It seems like the future of connecting devices via both Blueooth that then bridge to a wifi cloud would be an easy and logical step. But at the end of the day, I had a real hard time finding a use-case for these devices. My most important items, those that I’d be most worried to misplace, typically all have “finding” methods already existent. For example, my iPhone and MacBook both already have this feature. If I wanted something for my car I’d most than likely get an OBD2 dongle like the devices I reviewed in THIS BLOG POST. And with more cars coming with connected apps anyhow, those might become a thing of the past before they even take off. 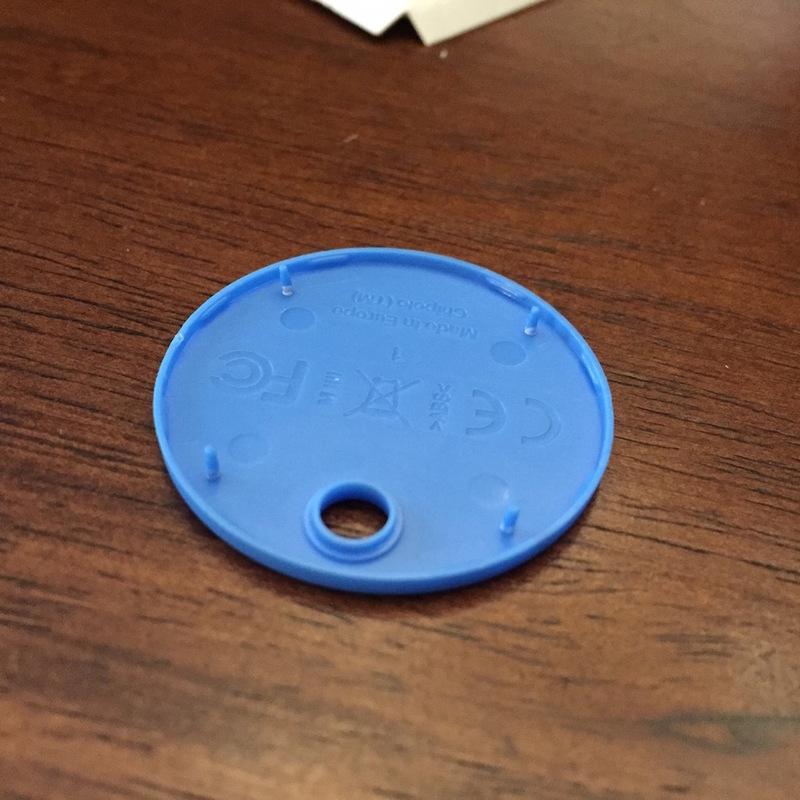 Though I cannot recommend the XY Find It, I’d be happy to suggest either the Chipolo Item Tracker or the Tile Item Finder to someone who loses their keys or purse or similar item a lot. 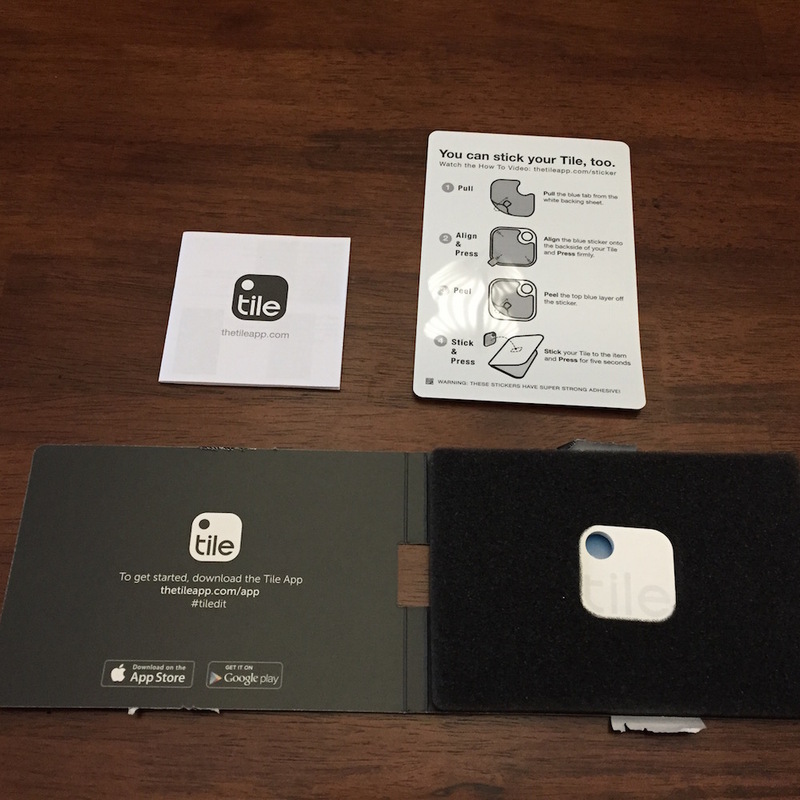 And the Tile even comes with a little adhesive pad allowing you to stick it to your tablet, laptop, or other flat surface. But just remember, these devices don’t have GPS themselves, and require being connected to your phone via Bluetooth (and then your phone’s GPS) to keep tabs on location. Obviously this gives the devices a reasonable battery life, but it also limits their function (you can’t use this to keep track of items like a full blown GPS-capable beacon). Have any questions I didn’t answer about these or similar devices? Feel free to use the comments section below. Thank you! have you looked at getpixie? Looks like a neat unit, with an interesting concept for locating your items more clearly and accurately. This is a crowded segment, but down the road I may review more/other items and the Pixie would be on that list, thanks for sharing! 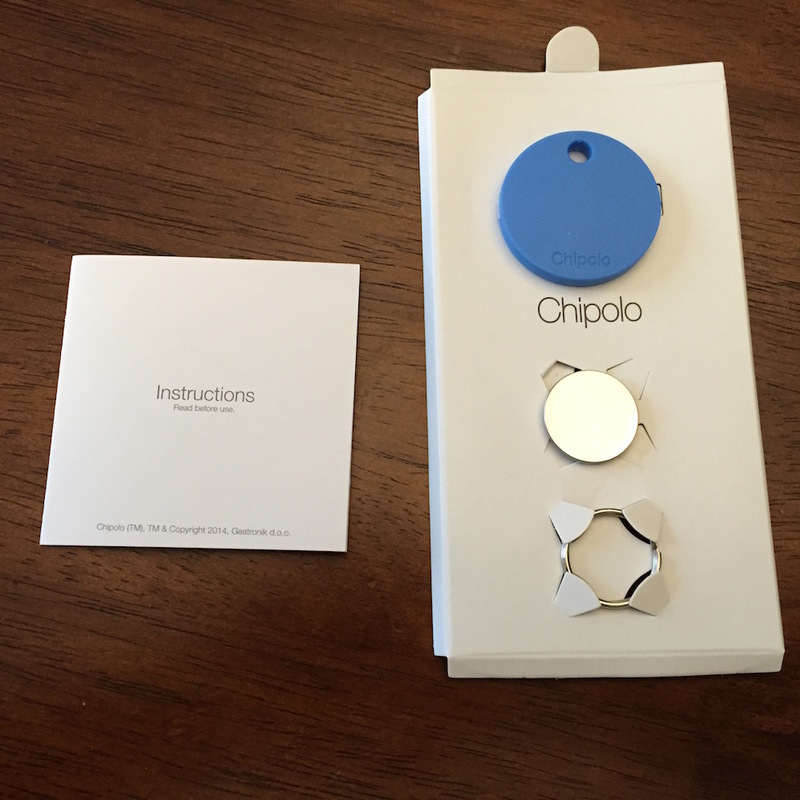 I think the fact that the tile has to be tossed after a year, but the Chipolo has a serviceable battery, and comes with an extra battery is a huge factor for me. I have both a tile and a chipolo, and I like the Chipolo better because of the battery issue. I’m inclined to agree with you on that. As inexpensive as these little things may be, having to replace one is a pain. Though I think Tile will support a swap directly, in some capacity. Not sure how that works, and at what cost, though…. I have one of the original tiles, at least 3 years old. Tile tells me (or keeps begging me) to replace it replaced, but it still works. I bought another one at a discounted price (to replaced), but use that one for other keys. Hi Ari Jay, I’m sorry to hear that the XY2 wasn’t your favorite bluetooth tracker. 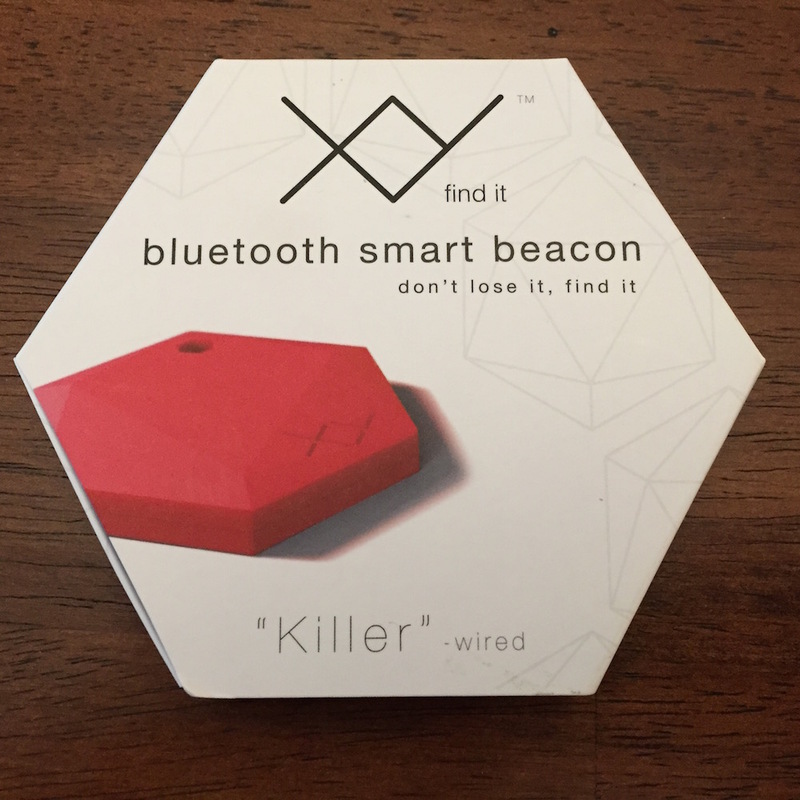 Since your review, we have redesigned our XY Finders, and I was wondering if you’d be interested in trying out the newest addition to the XY Find It family- the XY3! We kept the style you liked, thinned the body, and improved the software, all while adding a speaker 5 times louder than before! Let me know if you’d be interested in trying out the XY3, because I would love for you to experience our new and improved XY Finders. 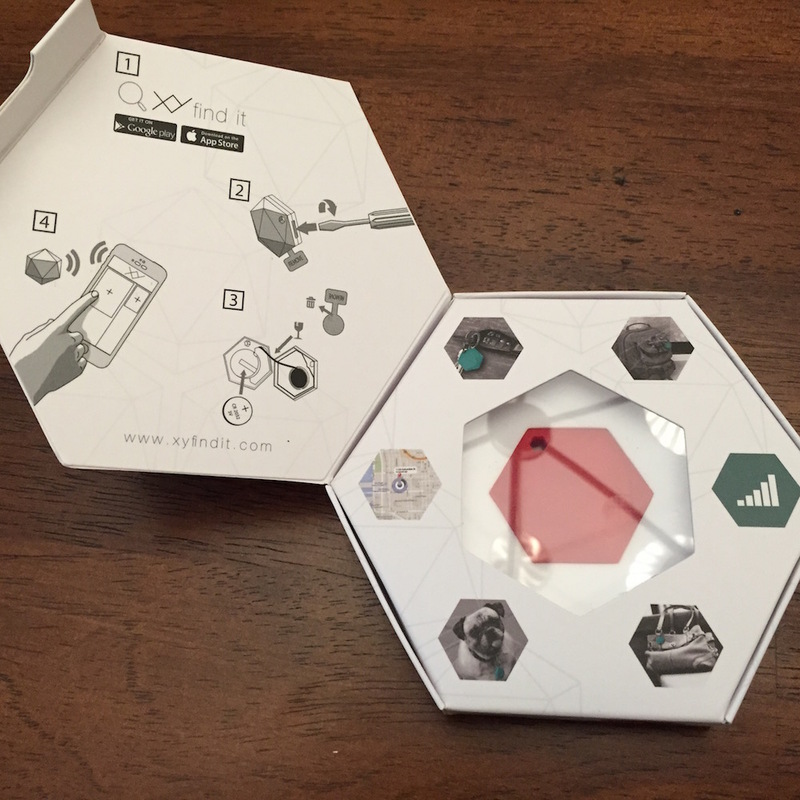 Contact me at tryit@xyfindit.com if you’d like for me to send you the new XY3 Finder! No thanks. If down the road I do another comparison I’ll let you know. There are updated versions from the competitors too. But I don’t have any immediate plans to test again sorry. Will the tile work if it is in a pocket or purse etc.? Or taped on to something? In other words not exposed to the air. Yes, it definitely will. That being said, keep in mind that certain materials, like metal or concrete, can block the RF signals that the Bluetooth inside the Tile use to communicate. When placing the Tile, take that into consideration. They work great in a purse, or in a pocket, or in a briefcase, or in a backpack… that is a common place people use them! Can I program it so the same tiles can be tracked on 2 different phones to tablets? Each tile has its own code or WiFi or whatever it is right? So if I buy 2 batches of 4 it is no problem right? That is not a silly question but regretfully I am not sure. It would probably be best to ask the manufacture. Most Bluetooth devices create a link between them and the phone that is unique, which makes me think your answer is no. 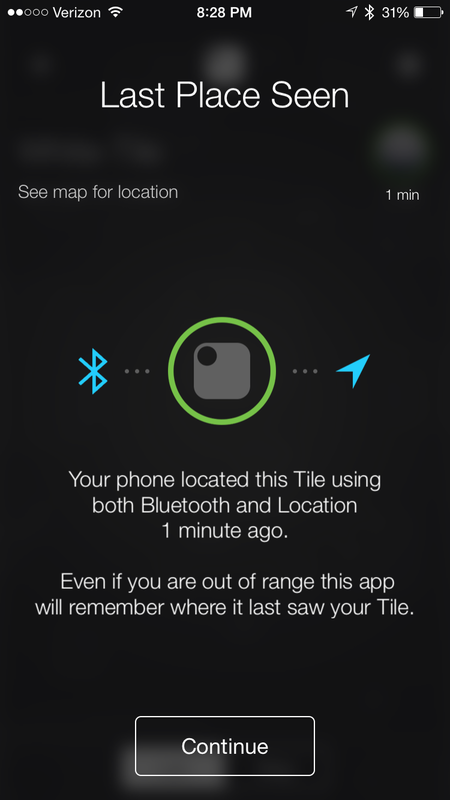 However I know that tile app can see other nearby tiles even ones that aren’t yours. So it warrants you asking the company to double check is my suggestion. Cheers! It costs about $15 per tile to replace them when the battery dies. Ridicules fee when replacing a battery on the other units will only cost $1.00. Hi, I am Devendra from India on visit to USA. Now in San Jose,CA n on 25 th going to Rockville,MD(Washington DC). 2. Girl / female going school or office or way back to home …to trace them…or monitor them …from safety wise. ( Exp. If daughter left in cab to home …she might taken away from route…we can monitor …now a days we keep talking on mobile till reached home) I am new in this field but great concern n sane time want to do business. I’m not sure what GPS-based data-included devices exist. MY comparison here was Bluetooth only. There are some GPS based units on the market for kids. Search for that and you may find what you want– the review here is BT only, sorry. Hi, great article. Question:. 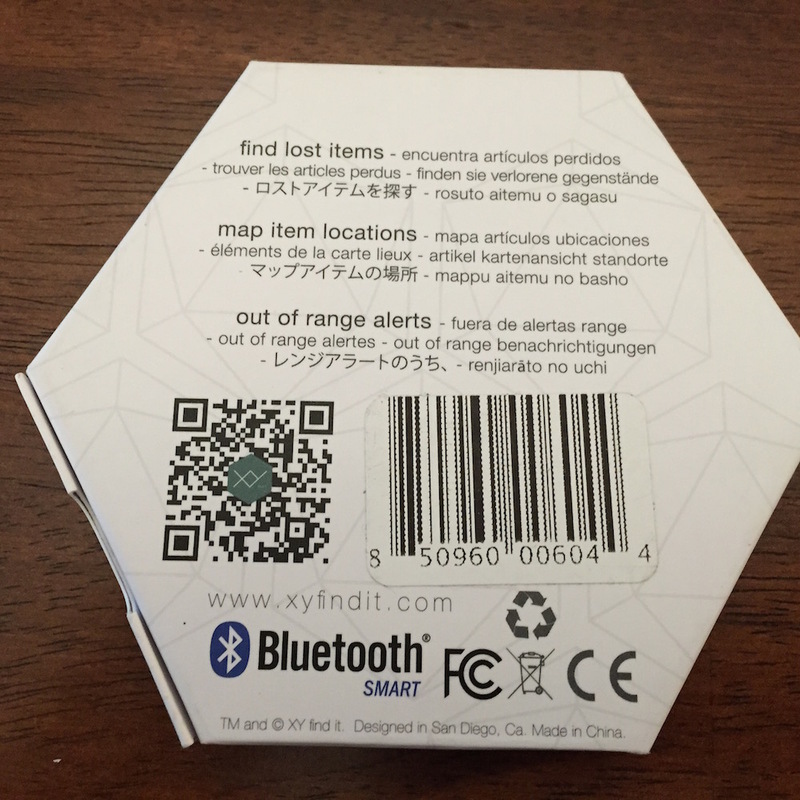 I’m looking for a tracking device that is a sticker. In other words, something I could stick to my glasses, vapor or a small item. Know of any? That technology is coming, but it isn’t here quite yet. I’ve yet to see a mainstream, readily available stick-on wearable that has already come to market and been proven. There are companies working hard to develop such a product, and many are in the works, but nothing that is actually feasible for what you want has reached the consumer market yet. Thank you for your reply. Isnt technology grand? Well, I will be anxiously awaiting it. Thanks again. I used to own an XY find it and the battery was absolutely user replaceable. I agree with the volume of the alert and the app. 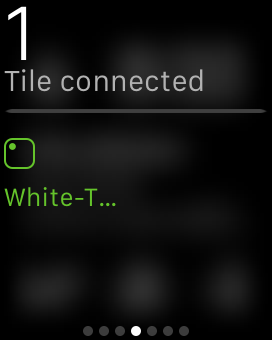 The tile doesn’t seem much better when it comes to locatio keys when you’re already nearby. 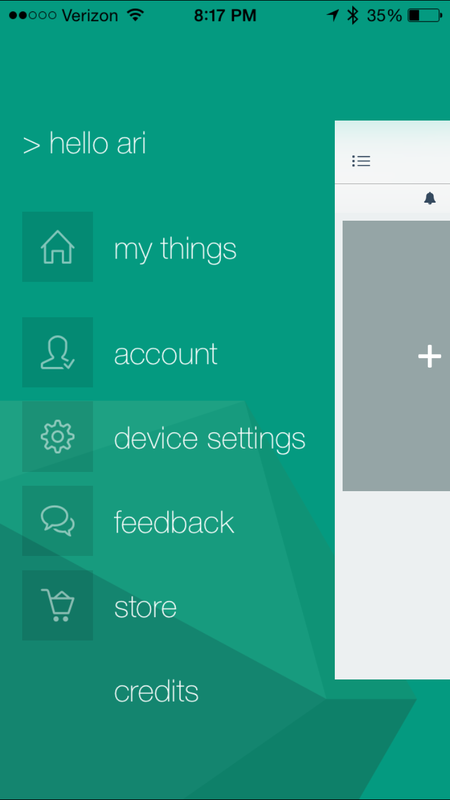 The tile advanced version is improved the features for usage flexibility. 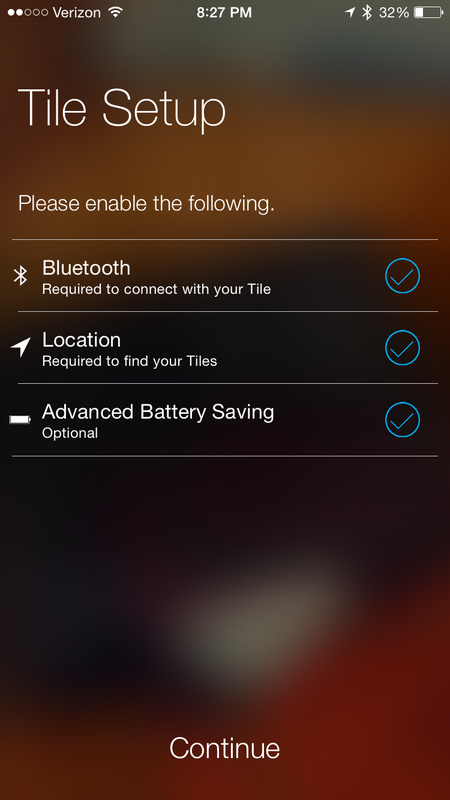 The second-generation Tile works with Bluetooth 4.0 devices running Android 4.4 or higher and iOS 7 or higher.